Comfortable cannot get any cuter!! This soft knit skirt has a unique twisted front that creates an asymmetrical hemline. 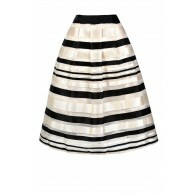 The Earning Stripes Twist Front Midi Skirt is lined to mid-thigh. We love this unique skirt! 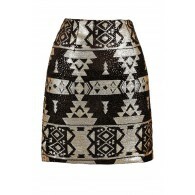 The mini skirt is wrapped around and twisted in the front to create a dramatic high low look. The gray background is brought to life with thin black stripes throughout. This soft knit fabric is stretchy and has an elastic waist. This skirt would look really cute with a crop top. You could also throw on a tank and denim jacket for a date night style. You have added Earning Stripes Twist Front Midi Skirt in Gray into Wishlist. You have added Earning Stripes Twist Front Midi Skirt in Gray for Stock Notification. You have set Earning Stripes Twist Front Midi Skirt in Gray as a loved product. You have removed Earning Stripes Twist Front Midi Skirt in Gray as a loved product.